There are many associated health benefits of figs, which make them a very attractive plant. The significant fiber content in figs makes them a wonderful fruit to improve one’s digestive health. The fig is a well-known fruit that originated in the Middle East and western Asia, where it has been grown and harvested since ancient times. It is now cultivated throughout the world, both for its fruit and as a decorative plant. The edible, sweet fruit contains one-seeded drupelets with a milky sap that can irritate the human skin. Their subtle sweetness and seedy texture make them great for sweet or savory dishes. There are many associated health benefits of figs, which make them a very attractive plant. The significant fiber content in figs makes them a wonderful fruit to improve one’s digestive health. Figs contain 15 grams of dietary fiber per cup, which prevents constipation and helps the body remove biological wastes, while maintaining a healthy blood sugar level. The Institute of Medicine recommends that one should consume at least 25-38 grams of fiber, depending on their gender. Fiber can also clear cholesterol out of the arteries and blood vessels, helping to improve blood flow and reduce blood pressure. Pectin is a type of soluble fiber found in figs. Researchers from the University of Georgia showed that pectin lowers cholesterol levels in the blood. The high potassium to sodium ratio helps decrease the cholesterol levels as well. Figs are also able to help improve an individual’s blood pressure levels. They are a reliable source of potassium with low amounts of sodium. A one-cup serving of figs contains 1,013 milligrams of potassium, compared to 14.9 milligrams of sodium. A high potassium and low sodium diet can lower the systolic blood pressure. Also, a high potassium to sodium ratio is very useful in scrubbing or washing out the toxic deposits in the kidneys. The drupelets also help in dropping the concentration of uric acid in blood and reducing the chances of kidney damage. The potassium in figs can also help individuals with abnormal heart beats. In such cases, it is recommended that individuals visit their physicians for a potassium check-up. Another fig health benefit is the high copper and iron content, which is essential for new red blood cell formation. Red blood cells carry oxygen to the rest of the body. One cup of figs contains 17% of the recommended value of iron and 21% for copper. A deficiency of iron is indicative of an anemic state. 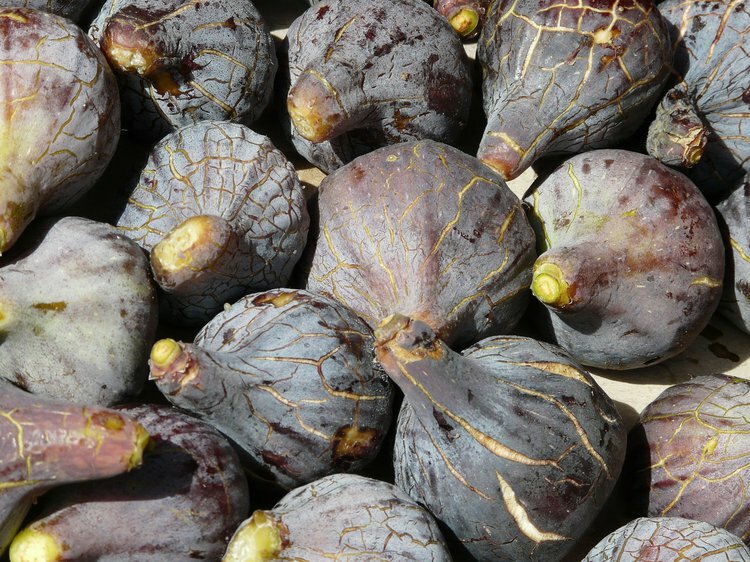 For individuals who struggle with their sleep, figs can help them sleep more peacefully. Figs have a high content of magnesium, which is a mineral that is directly associated with enhancing the quality, length, and calmness of sleep. Figs also help reduce sleep disorders and the chance of insomnia by regulating the metabolism. Amino acids, like tryptophan, in figs may help facilitate a good night’s sleep. The powerful compound pectin, which is found in figs, can help fight against various types of cancers. There have been links observed between the consumption of figs and a decreased risk of cancers of the gastrointestinal tract. Lastly, figs can assist in energy production and antioxidant defense. Manganese is an essential mineral for energy production and antioxidant defense. For example, some enzymes need manganese to destroy harmful biological waste products, called free radicals. One cup of figs contains 38% of the mineral manganese. Some people mix fresh figs with a banana, orange, and milk to make a healthy fig shake. Figs can be eaten either peeled or unpeeled, depending on the thickness of the skin and personal preference. Jackson, C. L., Dreaden, T. M., Theobald, L. K., Tran, N. M., Beal, T. L., Eid, M., ... & Mohnen, D. (2007). Pectin induces apoptosis in human prostate cancer cells: correlation of apoptotic function with pectin structure.Glycobiology, 17(8), 805-819. Pienta, K. J., Nailk, H., Akhtar, A., Yamazaki, K., Replogle, T. S., Lehr, J., ... & Raz, A. (1995). Inhibition of spontaneous metastasis in a rat prostate cancer model by oral administration of modified citrus pectin. Journal of the National Cancer Institute, 87(5), 348-353. Solomon, A., Golubowicz, S., Yablowicz, Z., Grossman, S., Bergman, M., Gottlieb, H. E., ... & Flaishman, M. A. (2006). Antioxidant activities and anthocyanin content of fresh fruits of common fig (Ficus carica L.). Journal of Agricultural and Food Chemistry, 54(20), 7717-7723.